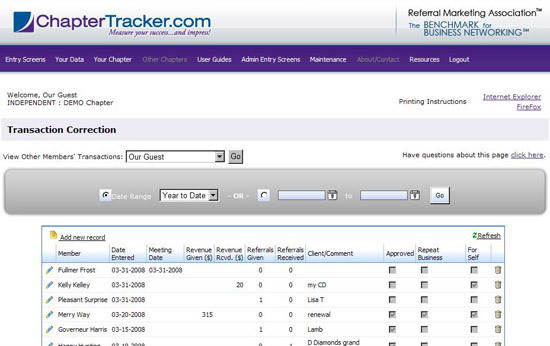 You don't know where you're going as a chapter unless you can track where you are and where you've been. 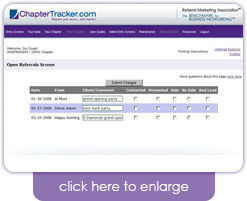 ChapterTracker has given us an easy and quick method of measuring ourselves—which in turn gives us the tools we need to improve as a chapter. Impressive! 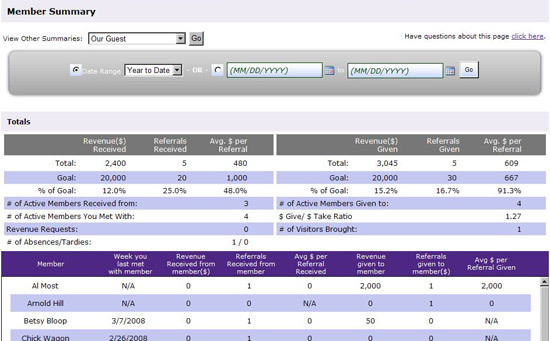 Members may track revenue and referrals in total and from specific people. 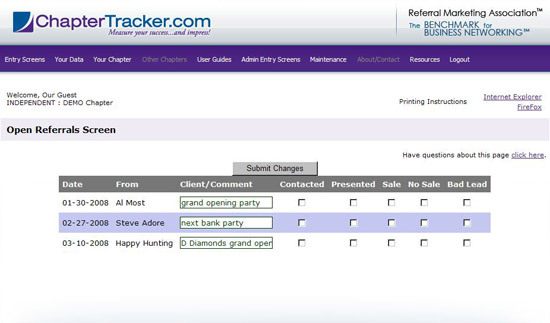 A full transaction history and searches by date allow members to look back in time...both at their own records and those of other members. 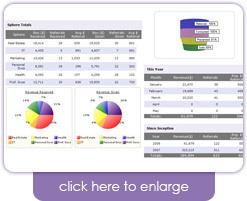 Key data is depicted graphically. 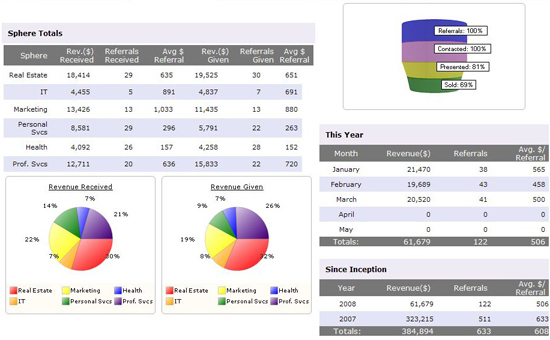 All member data and goals are brought together for a picture of the whole chapter, with graphic charting of revenue and referrals. 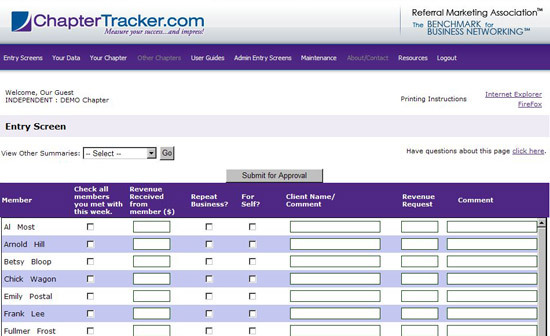 Individuals are ranked based upon their performance of key criteria, and basics such as attendance records may be seen by all. Members use two screens to make entries. 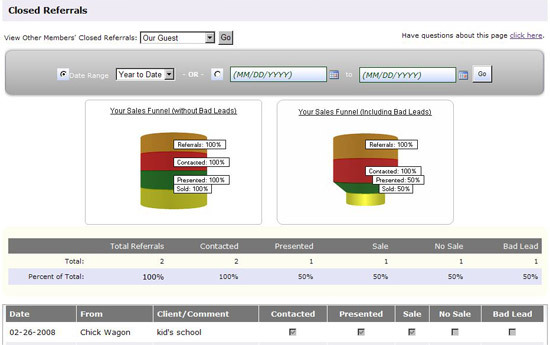 One screen is focused on revenue, and the other screen tracks open referrals. 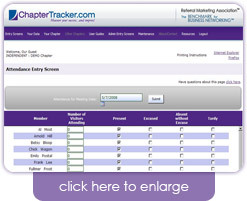 ChapterTracker.com’s user interface is easy and fast! With just a little attention each week, you will begin to build a powerful history. 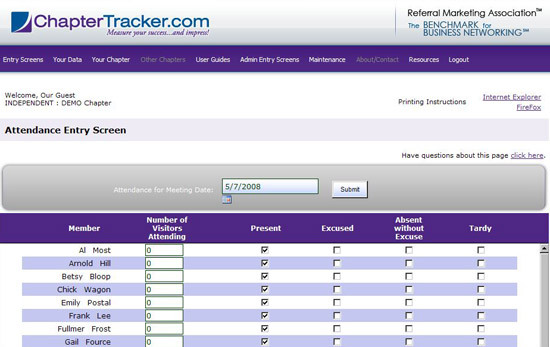 Administrators enter referrals and attendance (optional), and they also have the ability to approve and modify member entries. As with most administrative jobs, paying attention to details may take a bit of time--but not too much--and the end result is terrific! 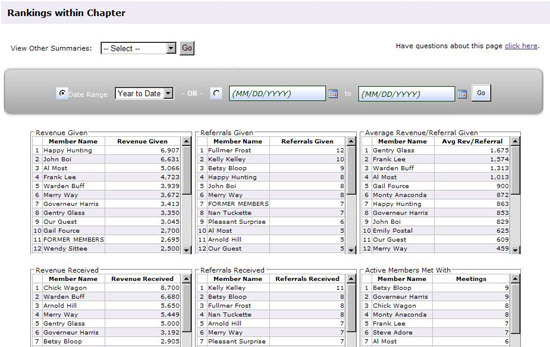 In the future more options will be available to help organizations manage their chapters.